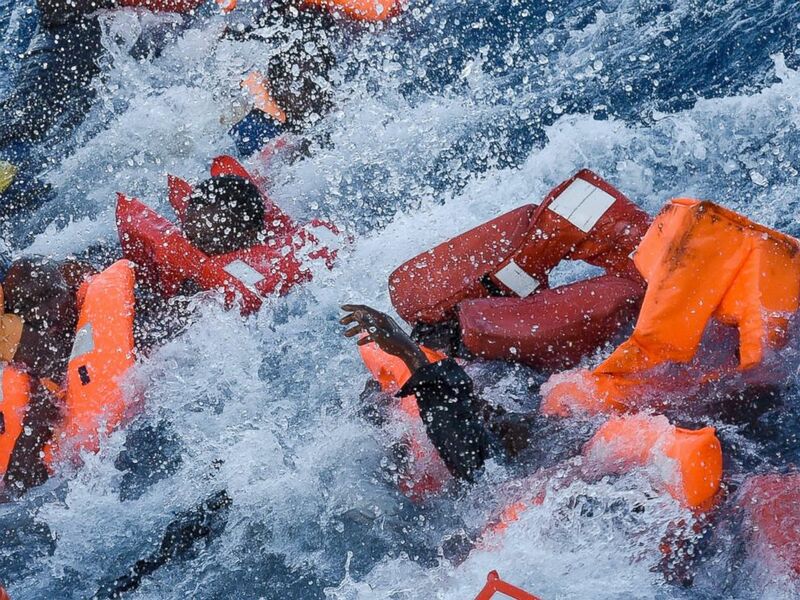 The number of migrant drownings on the Mediterranean reached a record high this week as hundreds of migrants are believed to have drowned while leaving the coast of Libya. 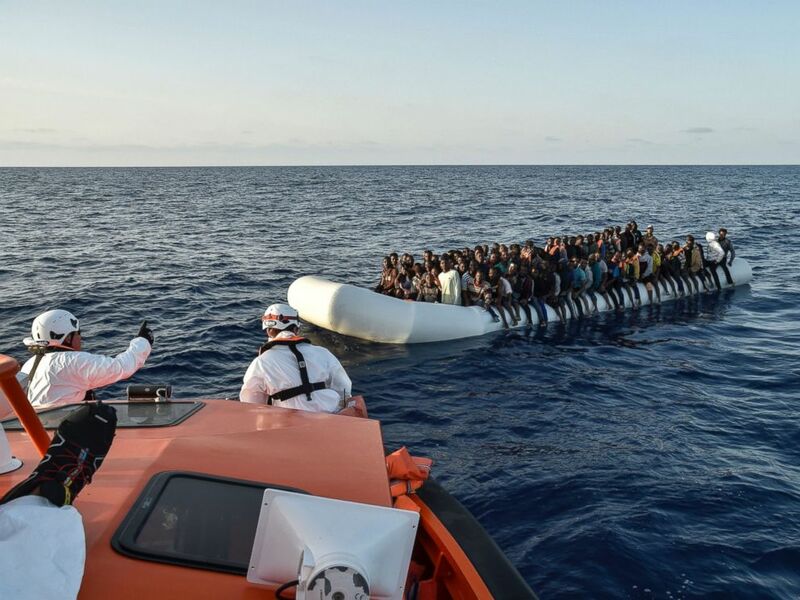 The scale of migration across the sea at this time of year has worried migrant organizations which pointed to an unprecedented number of migrant deaths during winter months that typically see far fewer migrants attempting the risky sea crossing. 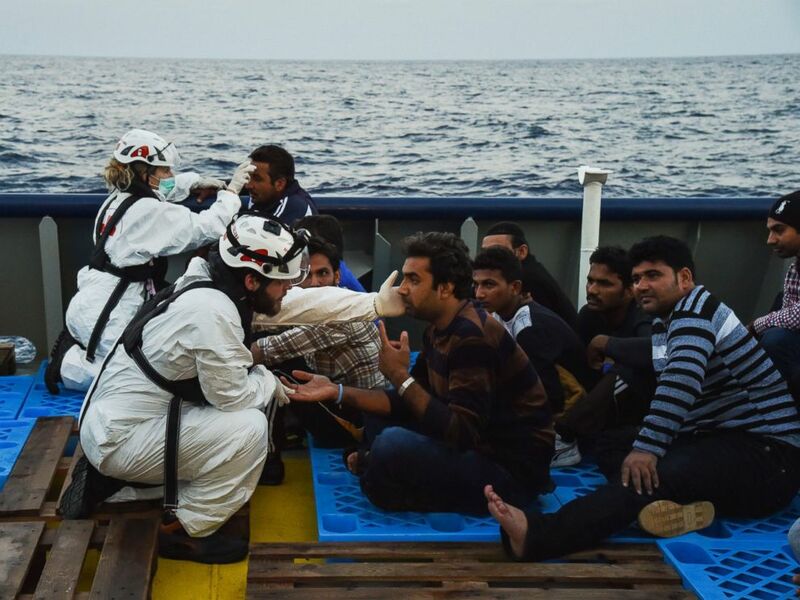 Medics from the Italian Red Cross attend to the rescued migrants aboard the ship Topaz Responder run by Maltese NGO MOAS and Italian Red Cross off the Libyan coast, Nov. 3, 2016. Refugees sit aboard the ship Topaz Responder after being rescued off the Libyan coast in the Mediterranean Sea, Nov. 3, 2016. Refugees panic as they fall in the water during a rescue operation off the Libyan coast in the Mediterranean Sea, Nov. 3, 2016. 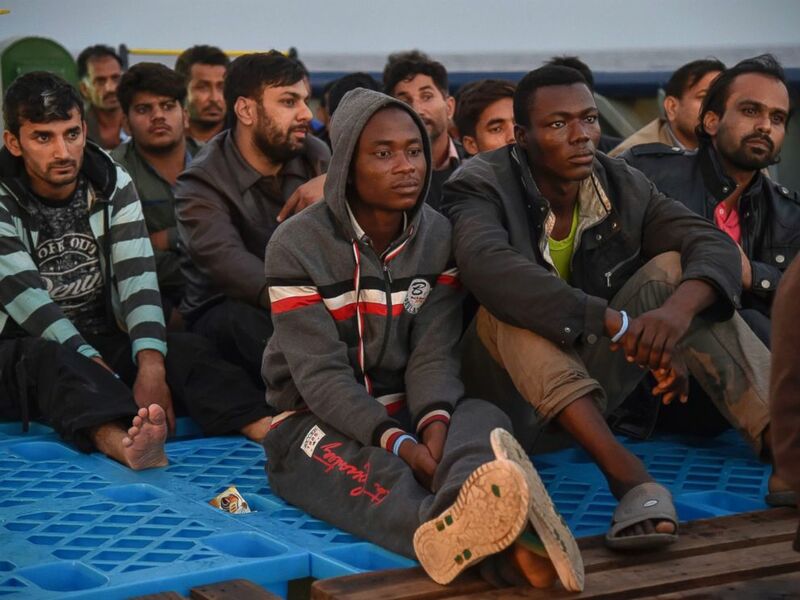 "We’re seeing more boats launched during a time when previously we wouldn’t have seen many," Itayi Viriri, a spokesperson for the International Organization for Migration, told ABC News in a phone interview. "We’re getting to winter and the seas are getting choppy and yet we’re seeing an unprecedented number of migrants dying." 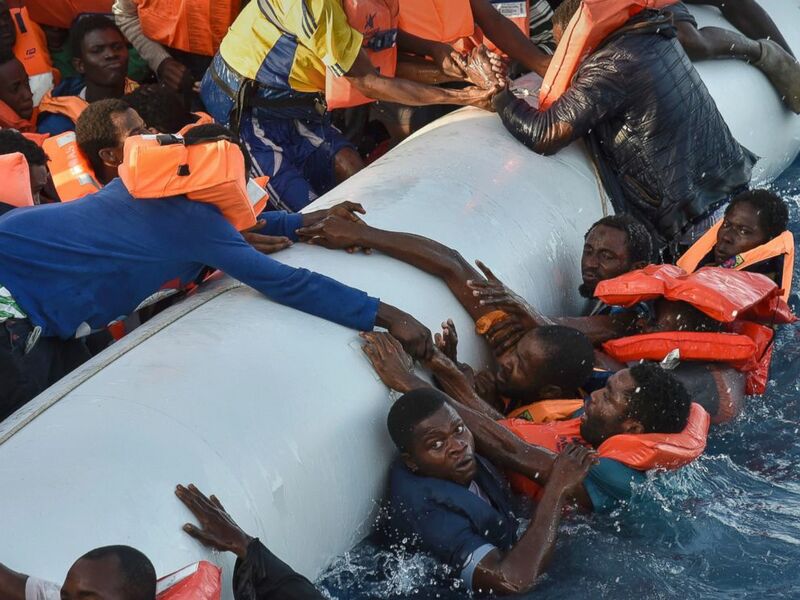 Up to 240 people are thought to have died after two boats capsized late Tuesday night or early Wednesday morning, bringing the total number of people killed crossing the Mediterranean to about 4,220, the highest annual death toll on record. Migrants panic as they fall in the water during a rescue operation off the Libyan coast in the Mediterranean Sea, Nov. 3, 2016. 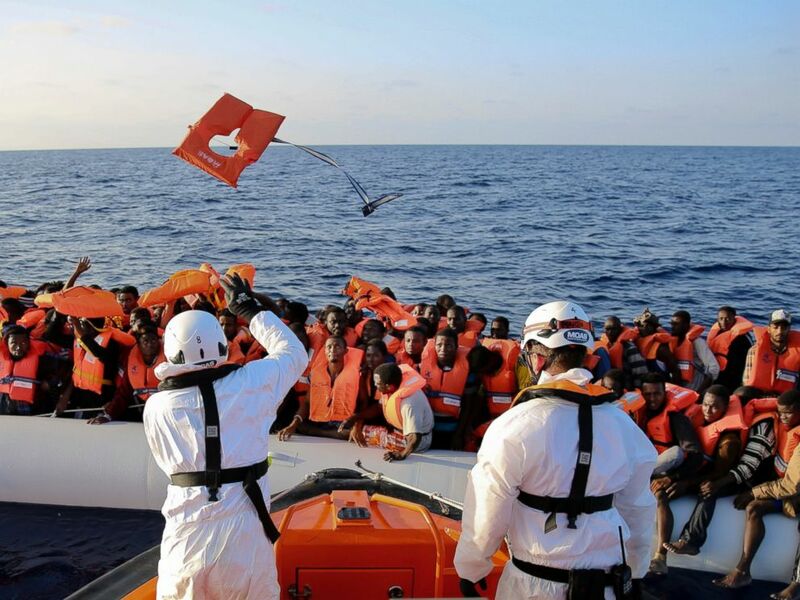 Safety jackets are thrown to migrants on a rubber dinghy from the vessel Responder, run by the Malta-based NGO Migrant Offshore Aid Station (MOAS) and the Italian Red Cross. Migrants aboard a rubber boat wait to be rescued by the Maltese NGO Moas and the Italian Red Cross off the Libyan coast in the Mediterranean Sea, Nov. 3, 2016. According to testimony from survivors, the migrants had been packed onto the rubber dinghies by smugglers, said Viriri. Of the 27 survivors, six were children and 18 were women, some of whom were pregnant. Rescuers brought the survivors to the Italian island of Lampedusa, where three were hospitalized, one in very serious condition. In previous years, migration across the Mediterranean has typically taken place from March or April until early autumn. "[Migrants] are being told by the smugglers ‘if you’re going to make this journey, make it now,’" Viriri said. "It shows the recklessness of these smugglers, that they’re packing more people onto these boats and launching more journeys. ... That’s why we’re seeing record numbers."